intaglio, photolithography, chine collé on rag paper. 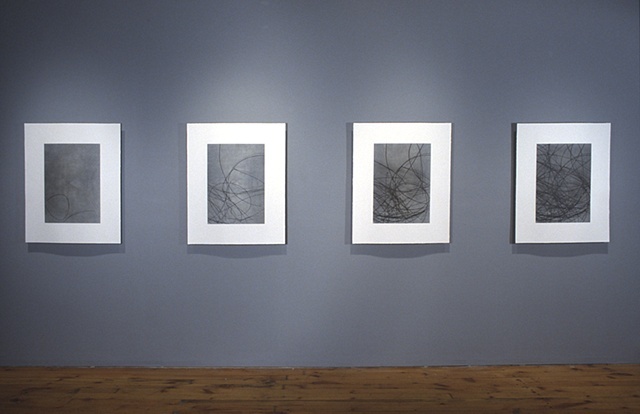 This series of prints from 2005, introduces photo-based imagery of wire and shadow of wire, layered with inked impressions taken directly off metal pressbed surfaces. The work is a meditation on line - as both real and illusory, inscribed by industrial process, by use and chance.